The processed food epidemic has become a daily task for parents to fight. We are constantly teased with new better, tasting processed foods while simultaneously encouraged to eat organic. Some people are successful at creating and serving extremely healthy, all natural foods to their kids; however, many of us struggle. Childhood obesity is real and overfeeding plays a huge part. 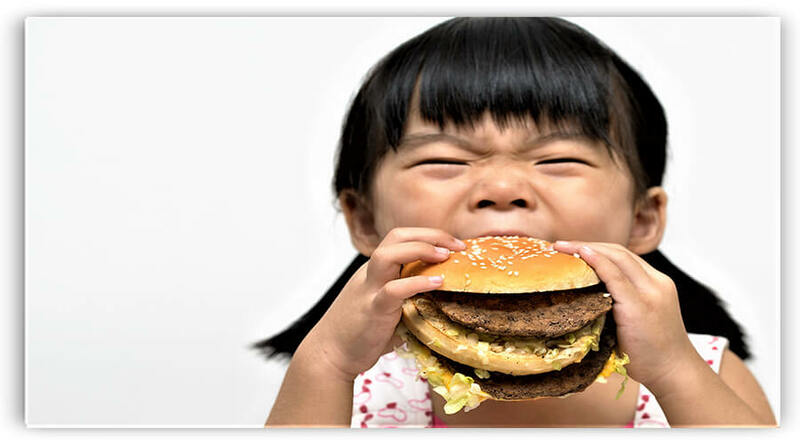 Kids may love the over processed fast foods, but why would a 5-year-old be given a Big Mac from McDonald’s? Excessive feeding teaches kids to continue to over eat food which then can result in obesity, high blood pressure, and diabetes. To be fair, adult obesity has also been skyrocketing. While we obsess about what our kids are doing, what about us? Adults drink sweet coffee drinks (can you say Frappuccino? ), eat processed foods, fast foods, sweets and massive servings of food just because the restaurant served it. We all can do better. As a pediatric surgeon and mother, I blog about parenting decisions and kids health. I think there is a need to make lifestyle changes in addition to trying to change the diet. I believe eating Paleo, and organic is an admirable goal; consequently, I give high praise to those who can do it. If I had Oprah’s chef and could come home to fantastic healthy meals, I truly believe I could become a thin vegan! But alas, it is me going to the grocery store and cooking, so ….there is that. I previously confessed to serving my children overprocessed foods. I am not proud of that fact but neither am I ashamed. It is what it is. The point of my post was to admit that my choices were similar to many parents and to acknowledge that it occurs every day in millions of families. It is important to understand the reason processed foods are harmful and addictive; however, it is equally important to recognize that moderation can reduce the risk of complications. Eating processed foods served a purpose during a time period in my kids’ lives and did not lead to the scary results that people write about. Studies report that processed meats (aka bacon and hot dogs) are linked to cancer…but as a scientist, I understand how these studies are done. The details about the amount of processed meat eaten daily are not discussed. One report came from Sweden; however, Swedish food eaten can be up to 90% canned, frozen and highly processed foods. This is internationally a very high figure. Eating or drinking anything should be done in moderation and balanced with healthier options. The processed food epidemic grows when these foods are the main part of our diets. One good piece of news is that a Harvard study showed that all processed foods are not unhealthy! Although I did not know this at the time, I served these healthier options to my girls. I believe we should not focus on just one part of life. 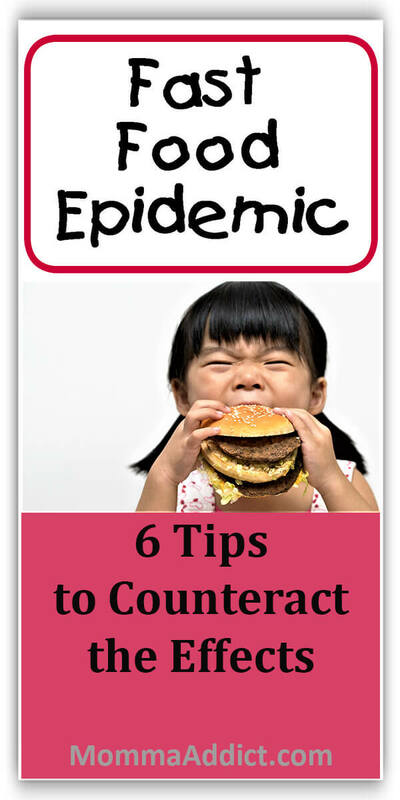 Kids may eat fast foods and processed foods; however, I present ways to keep these foods from causing the harm we all fear. A major part of the processed food industry includes adding a high amount of sugar. Drinking sweet drinks also delivers high amounts of sugar to our children. Recently, the Academy of Pediatrics recommended avoided juices in children and suggested that eating the actual fruit provides great benefits. Water makes up 50-60% of our adult body weight; however, in infants, water accounts for almost 80% of their weight. I love this post about how water impacts the author. My girls and I develop more headaches when we do not drink enough water. Get more water in your child’s diet! I recognize that I am not in agreement with pediatric authorities on this topic. The respected Mayo Clinic and Academy of Pediatrics do not recommend vitamins for “normal healthy kids” because they can get the needed vitamins from a well well-balanced diet. Remember how I confessed that my kids ate processed foods? Well, I know they did not always eat the best foods to get their vitamins; therefore, my children always did (and still do) take vitamins. If you feel your child’s diet contains processed foods which remove nutrients, you might consider a daily vitamin as well. Overeating occurs with foods that taste good; consequently, this has led to the processed food epidemic. Kids do not overeat carrots. Parents need to be mindful of portion control in children. Childhood obesity increases when physical activity levels are low. A Harvard study from 25 years ago showed increased weight gain in kids who sat and watched excess TV. Imagine the impact of excessive sitting with the electronic device revolution! My previous post addressed kids’ addiction to electronic devices; however, parents may be more likely to reduce screen time by understanding that excess sitting impacts their kids’ health. In addition to burning calories and reducing childhood obesity, participation in sports provides many benefits for children. Feeding your child a chicken sandwich on the way home from soccer practice may become balanced by these benefits. Another opportunity to reduce mom guilt! The bottom line, parents need to continue to seek the healthiest food options possible for their kids. However, recognizing the processed food epidemic is real, I recommend that you use as many of the mentioned tips to reduce the impact on your children’s long-term health!